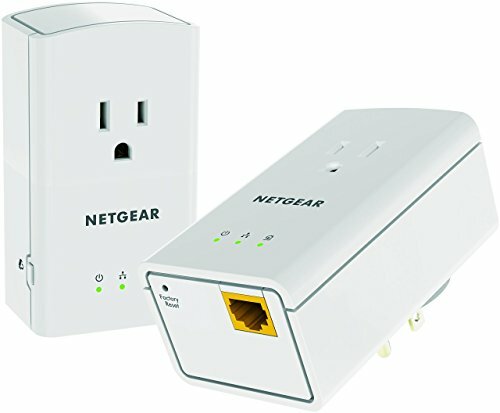 The NETGEAR Power line 500 + Extra Outlet, 1-Port extends your Internet access to any electrical outlet and features an extra noise-filtered power outlet. It offers plug-and-play setup and speeds for streaming music and HD video in a convenient, small design. It's perfect for connecting smart TVs and game consoles to your home network.